The second general meeting of the FIU Ecology club GLADES featured a reptilian guest-the Anole. This week graduate student James Stroud of the Feeley lab was generous enough to host an interactive workshop with GLADES members on anoles. It began with a short presentation on the species found at our university that make up our unique anole community. James explained how to identify these anoles based on their most obvious physical characteristics and on their most common habitat preferences. GLADES members learning about common South Florida anole species. After the presentation, the fun began! 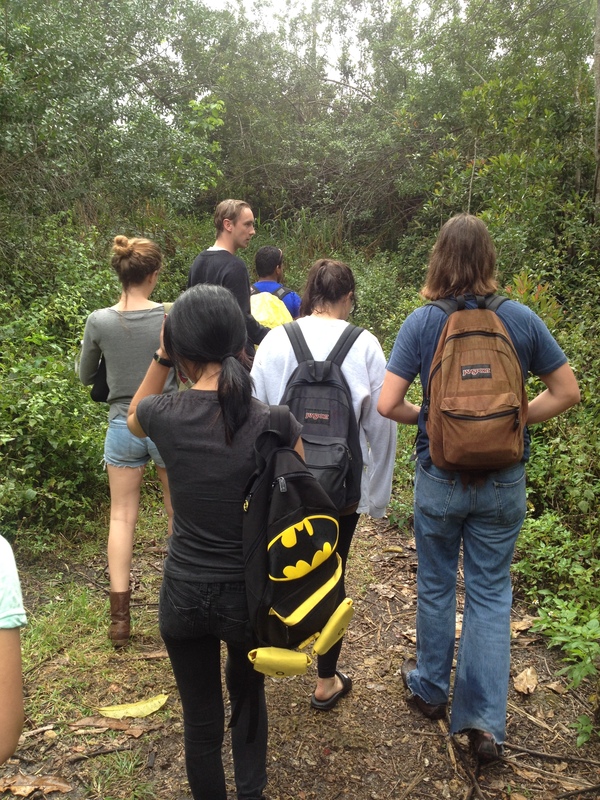 Our group headed outside armed with lizard “nooses” to look for any anoles around campus. With our newly acquired knowledge of anole ecology and identification we all had a sharp eye ready for any small movement along a tree, post, wall, or on the ground. The day had a slight case of rain, which meant the anoles were hiding from us while we walked around campus getting rained on. As budding ecologists, this didn’t stop us. On the search for anoles. With some careful eyes, we spotted one anole in a young slash pine tree in the Nature Preserve and used a lizard noose to catch it. This was a great opportunity for GLADES members to try their hand at lizard catching and identification. Later on in the workshop every member had a chance to catch an anole on their own. Anoles are tough little critters, so they didn’t mind being held in order for members to get a better look at their unique features. The brown anole (Anolis sagrei). Anoles really are prevalent here in south Florida. They can be found all over campus, in your backyard, and even in your boots (this happened to me once!) Having grown up in Miami, I recall as a child catching these little lizards left and right and would anger them just enough to get them to bite my fingers (and sometimes my earlobes to wear them as earrings….according to James this seems to be a Miami-only phenomenon). GLADES members had a unique experience at this workshop, and from it took more nuggets of information which they can utilize to enhance their continuing education in ecology. 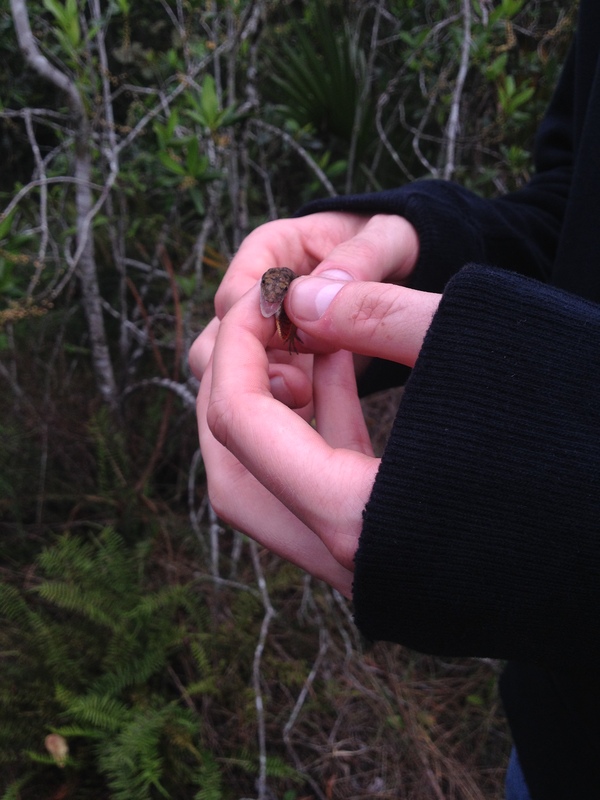 This entry was posted in Undergrad Blog Series and tagged anoles, ecology, Environment, Florida International University, GLADES, herpetology, Species, tropical biology, Undergraduate education by Christine. Bookmark the permalink.